40% Cotton, Acid free, 160gsm, glued on one side. 30 sheets, 6 different shades in each pad. 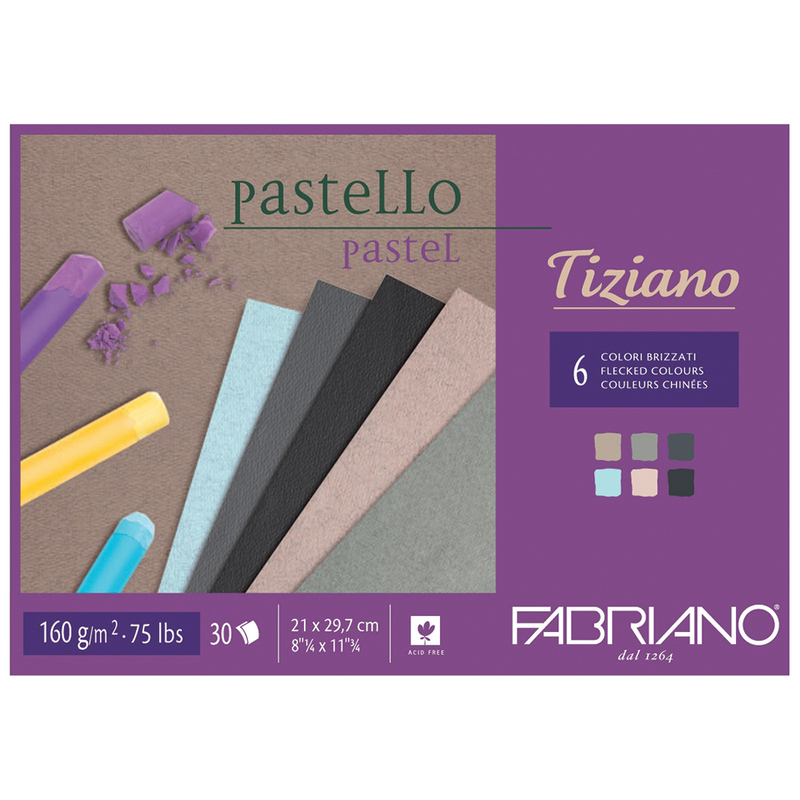 Suitable for pastel, charcoal, sanguine and gouache. Two types, Soft Colours & "Brizzati" (Dark) colours. 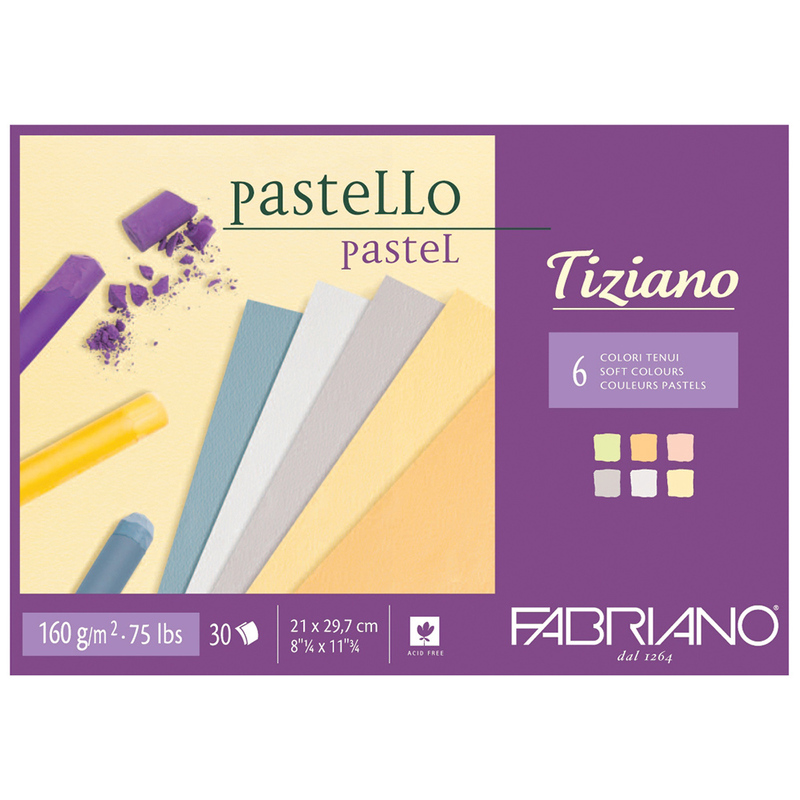 Due to the earthquake near the Fabriano factory earlier in 2017, production of the pastel pads has been affected. Stocks are expected to be back to normal in January 2018.